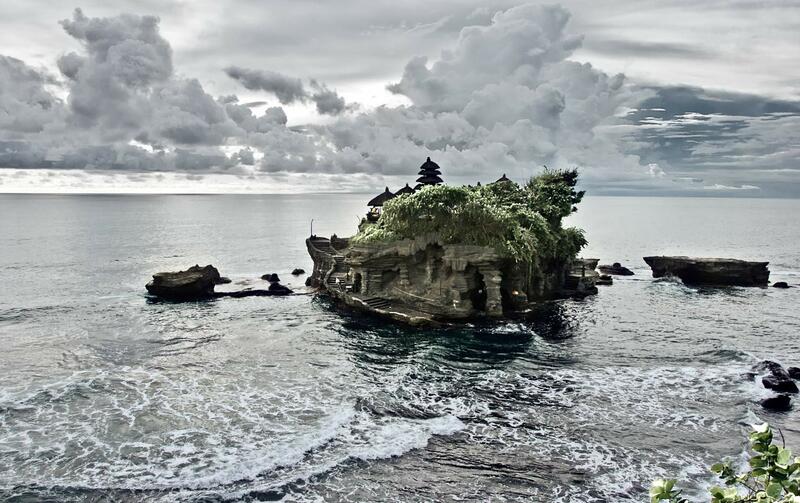 Tanah Lot temple at Bali - Indonesia Tanah Lot is a rock formation off the Indonesian island of Bali. It is home of a pilgrimage temple, the Pura Tanah Lot. It is said to be the work of revered 15th century Hindu priest Nirartha and forms an important element of Balinese spirtualism and mythology.